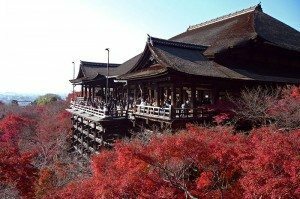 is a district of Kyoto, Japan, originally developed in the Middle Ages, in front of Yasaka Shrine. The district was built to accommodate the needs of travelers and visitors to the shrine. 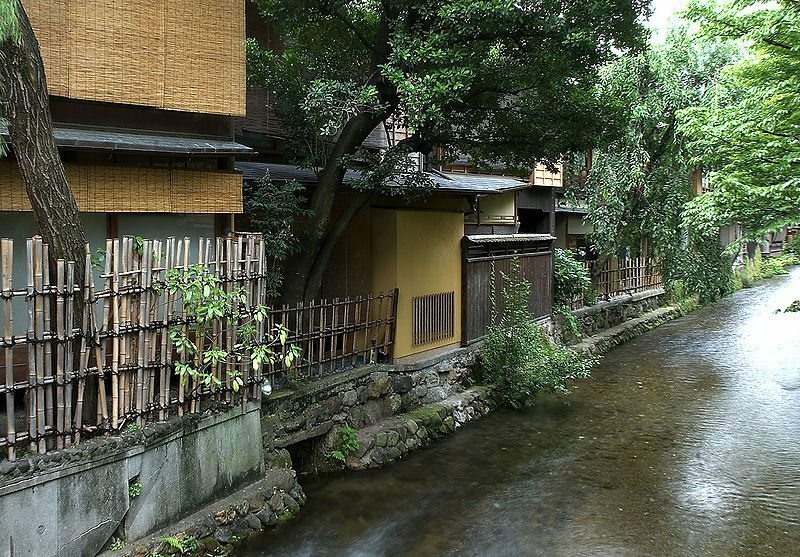 It eventually evolved to become one of the most exclusive and well-known geisha districts in all of Japan. The Philosopher’s Walk (哲学の道 Tetsugaku no Michi?) 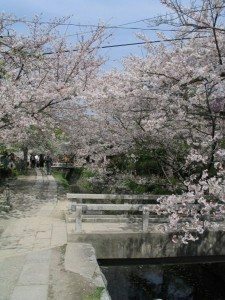 is a pedestrian path that follows a cherry-tree-lined canal in Kyoto, between Ginkaku-ji and Nanzen-ji. The route is so-named because the influential 20th century Japanese philosopher and Kyoto University professor Nishida Kitaro is thought to have used it for daily meditation. It passes a number of temples and shrines such as Hōnen-in, Ōtoyo Shrine, and Eikan-dō Zenrin-ji. It takes about 30 minutes to complete the walk, although many people spend more time visiting the sights along the way. On the northern part of the walk, there are good views of the nearby Daimonji. The walk is a popular destination for tourists and locals, especially during hanami.